There are many different types of counseling, from mental health and substance abuse, to family and marriage counseling. Here are some of the top counseling program specialty areas. Click one of the links for the full program review. There are many different types of counseling degrees. In some cases (not all), undergraduate students tend to pursue a more general Bachelor's in Counseling, but keep in mind if you are seeking a Bachelor's degree in Counseling, there are specialties that you might consider if you know exactly what you want to do. Meanwhile, students seeking a Master's degree in Counseling have a better idea of the specialty they want to pursue, and there are numerous options. 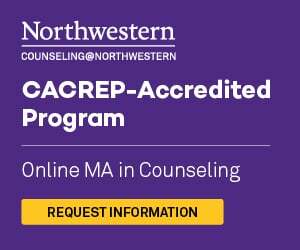 Review the list below to see which counseling specialty programs are available.